More teenagers are abusing drugs to the point where they require substance abuse treatment. According to new study, teenagers in treatment for substance abuse can benefit from 12-step programs. In the past there was little research conducted on how effective these programs are for adolescents, HealthDay reports. 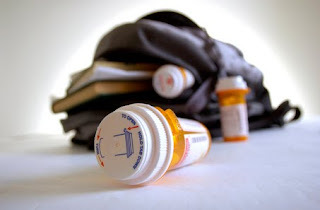 127 teens who were outpatients in substance abuse treatment programs participated in the study. They were evaluated when they began the study, and again three, six and 12 months later. The researchers found about one-quarter to one-third of the teens attended Alcoholics Anonymous (AA) or Narcotics Anonymous (NA) meetings throughout the year-long study period, and that the more meetings the participants went to, the better they did with their problem throughout the year. “It is also a good idea to facilitate a good match between the patient’s primary substance, cannabis/other drugs or alcohol, and the mutual-help organization to which they are being referred, Marijuana Anonymous, NA or AA. Not doing this can lead to a poor initial match, which can be difficult to overcome,” Kelly said.